Traditional acupuncture works to maintain the body’s equilibrium by focusing on all aspects of wellbeing; physical, mental, emotional. The acupuncturist inserts ultra fine, sterile, disposable needles at chosen points along energy channels of the body, known as meridians. The aim is to stimulate the body¬¥s own healing response and restore its natural balance. Treatment is aimed at the root of your condition, as well as your symptoms. This approach can lead to a more permanent resolution of your problems. 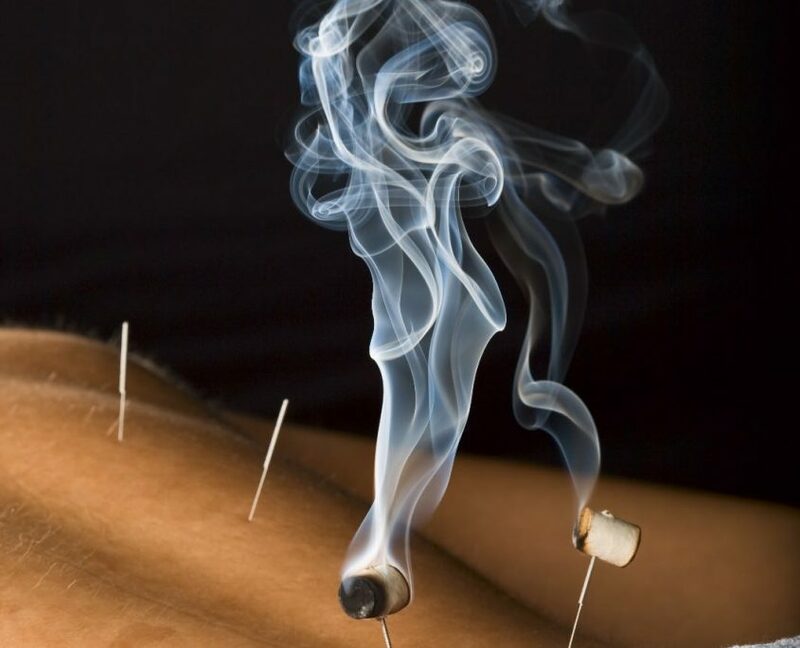 Moxibustion is a procedure whereby moxa – a dried herb, usually of the species mugwort (Latin name: Artemisia vulgaris) – is used either directly on the skin or just above the skin over specific acupuncture points or meridians. The herb is lit and as it smoulders slowly, heat permeates into the body and affects the flow of qi and blood in the area being treated. The words Tui Na translate into “push-grasp” or “poke-pinch” in Chinese. Through the application of massage and manipulation techniques, Tui Na seeks to establish a more harmonious balance of qi throughout the body. Physically, it is a series of pressing, tapping, and kneading with palms, fingertips, knuckles or implements that help the body to remove blockages along the meridians of the body and stimulates the flow of qi and blood to promote healing, similar to principles of acupuncture, moxibustion, and acupressure. Cupping is an ancient technique used in traditional Chinese medicine to stimulate acupuncture points or larger areas of the body. It is often practised alongside acupuncture but can also be a ‘stand-alone’ treatment. The technique involves creating a vacuum inside round glass or bamboo cups by inserting a naked flame and removing it, then placing the cup quickly onto the area to be treated before the vacuum is lost. The cups are then left in place for anything up to 20 minutes. Cupping is most commonly used to treat colds and flu by shifting congestion in the chest and/or to relieve muscle and joint pain. It can also be used to treat digestive and gynaecological problems and to draw out toxins from the body. Gua Sha (pronounced Gwah Shah) is a cleansing technique used by many practitioners of traditional medicines. It involves the methodical application of pressure and stimulation of the skin using a round-edged instrument which results in the appearance of small red or purple spots (petechiae) called ‘sha’. The effect is similar to that of a scrape but the skin is not damaged in any way and the redness fades in a few days. The technique is used to move qi and/or blood stagnation, which is considered to be the main cause of pain and stiffness in muscles and joints. It can promote good circulation and release tension as well as remove toxins systemically. According to the principles of traditional Chinese medicine it is used to ‘release fire’ from the meridians where the blood is encouraged to flow more freely in the vessels, thus effecting a cleansing action in the body. Gua sha is also useful for the prevention and treatment of acute illness, upper respiratory and digestive problems, and many other disorders. Book your Acupuncture treatment today at PJY Therapies.